The new BBC-2 was slow to spread across the country, and people were slower still to buy the new 625-line sets and put up the new UHF aerials required to receive it. Even if you were in a good reception area for your standard VHF television pictures, the results on BBC-2 were often disappointing; on top of that, early adopters of monochrome 625-line sets soon found themselves with redundant technology when colour programmes started being transmitted by the new channel. Finally, just to really stink the viewers off, BBC-1 endlessly promoted what was on BBC-2 that evening, next week or now, giving us glimpses of the occasional brilliant show that we couldn’t receive even if we wanted to. BBC-2, all in all, was not a popular innovation. 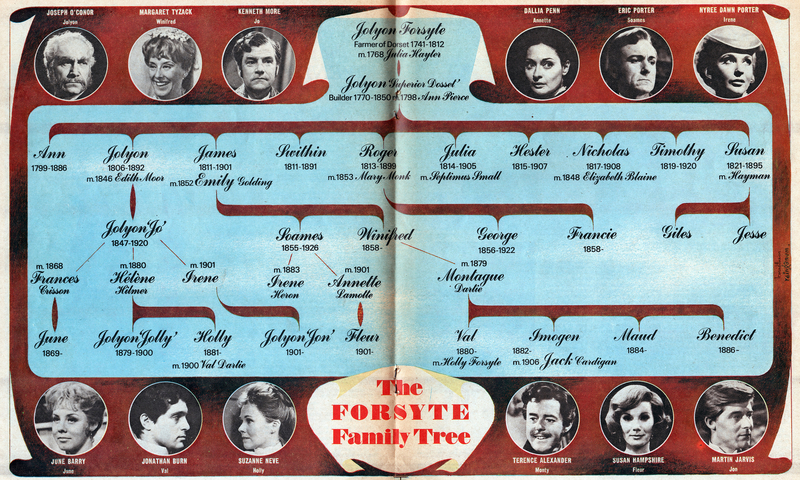 And then, in 1967, came The Forsyte Saga. A lavish production, adapted from five pieces of early 20th century writing by John Galsworthy into 26 parts shown every Saturday evening for six months, the last black and white drama serial to be made by the BBC. Suddenly, everybody wanted – needed – BBC-2. People who already had 625-line sets could profitably invite others without to watch with wine and nibbles, oiling the social wheels. Television rental shops found that – at last! – people were seeking to upgrade to 625-line after years of resistance. The public view of BBC-2 turned from an annoyance to an accepted part of the British media landscape. And then the series got a repeat on BBC-1, this time on Sunday evenings and now to a mass audience. And 18 million of us tuned in to follow the ups and downs of the upper middle classes either side of the first world war. Russ J Graham is editor-in-chief of the Transdiffusion Broadcasting System and also runs the Retropia and Televault chain of websites. He was not around in the 1960s, but has studied the period academically and for fun for many years.